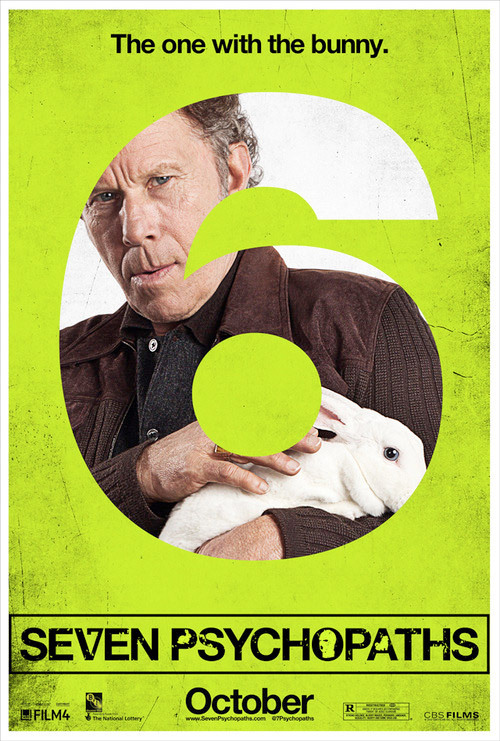 This poster for new movie Seven Psychopaths features the gravelly Tom Waits with a blue eyed white rabbit. I particularly like the catchphrase “The one with the bunny” which I assume refers to his character rather than the movie. I love Tom Wait’s voice and his song “Misery Is The River Of The World” always has me picturing a lip synching Cookie Monster. 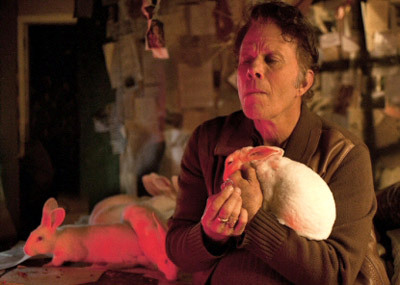 Below are some screenshots of Tom Waits and various bunnies. 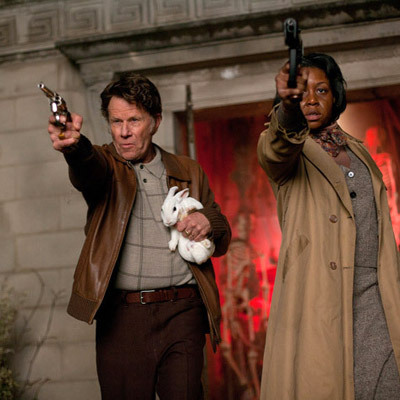 I haven’t seen the movie yet but hopefully the storyline doesn’t feature any ill will to the his bunnies. With a title referring to not one but seven psychopaths, it’s not looking hopeful. That bunny does not look like he/she is enjoying their 15 minutes at all. You’re right, it’s not enjoying being held. No worries, nothing bad will happend to the bunnies. 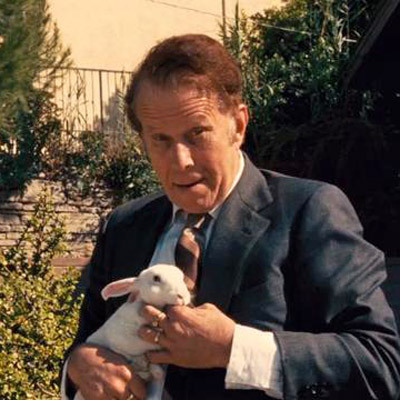 They even have an artificial bunny in certain sequences.